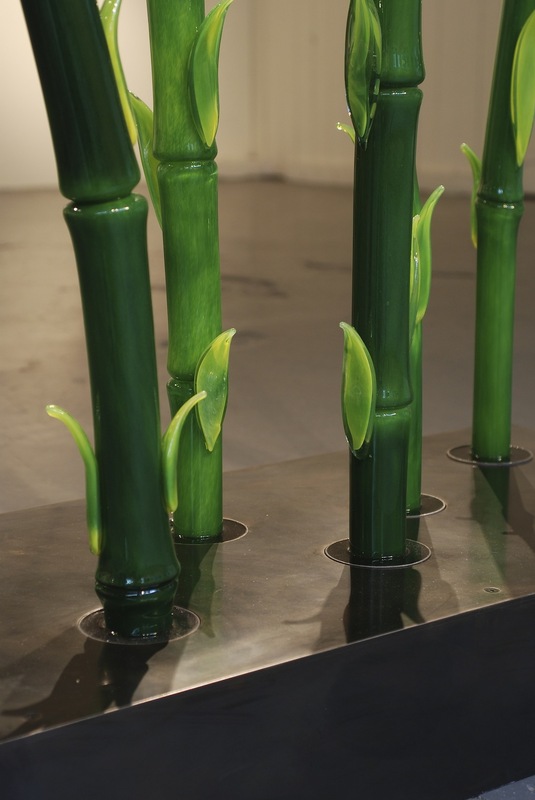 Hand sculpted solid glass installation of bamboo stalks with leaves. Custom base available in a variety of dimensions. Please inquire.